Today digital technology has conquered every aspect of professional world. 3DigiPrints is an authorized re-seller in India of 3D printing services and 3D printers. It is the trustworthy source of printing services in 3D format. 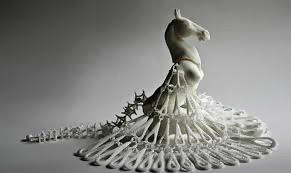 The 3D printing services are used by leading professionals today like fashion designers, architects, educational institutes, engineers, design studios, product development companies and corporate. There are two high definition printers which are used for 3D Printing. Projet 3500 is industries most advanced printer equipped with high definition performance and quality. It accepts various materials as it is flexible and deliver superior productivity. Projet 1500 is a sleek printer to fit in the office infrastructure which can be used through web browser. It has got ability to speedily print than any other 3D printer. It has the ability to print plastic parts with a high resolution quality. Some foremost applications used in 3D printing are models for teaching, electrical appliances, decorative articles, trial product of toys and landscapes and designs for architectural purpose.